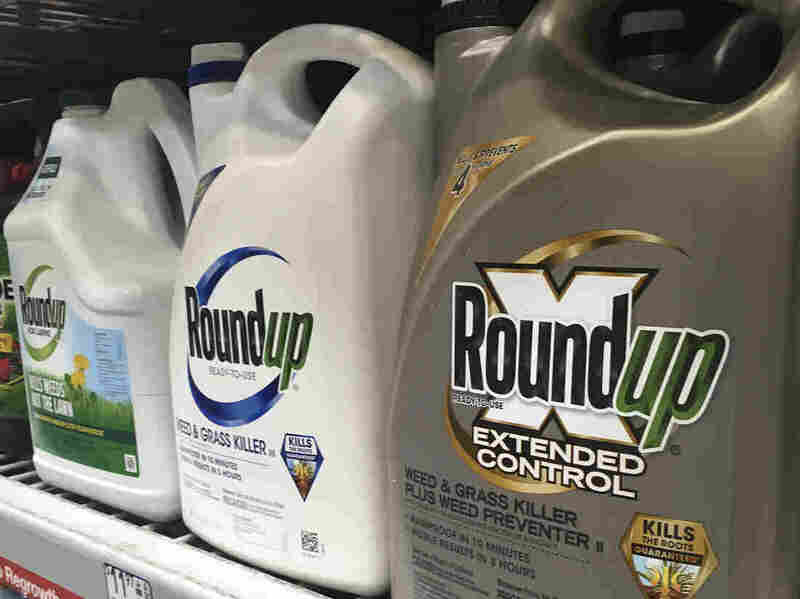 Jury Says Roundup Weed Killer Contributed To Man's Cancer After five days of deliberation the jury concluded the weed killer was a "substantial factor" in causing non-Hodgkins lymphoma in the plaintiff. It's the second verdict against the Bayer product. A jury in federal court in San Francisco on Tuesday concluded that Roundup weed killer was a substantial factor in a California man's cancer. The company denies the connection. A San Francisco federal jury unanimously agreed on Tuesday that Roundup caused a man's cancer — a potentially massive blow to the company that produces the glyphosate-based herbicide currently facing hundreds of similar lawsuits. The verdict is the second in the U.S. to find a connection between the herbicide's key ingredient, glyphosate, and the disease. In August, another San Francisco jury determined Roundup had caused cancer in a former groundskeeper. It also decided Monsanto, the company that developed the popular weed killer, deliberately failed to warn consumers or regulators about the product's risks. In a statement Tuesday, the company said it is disappointed with the jury's decision "but we continue to believe firmly that the science confirms glyphosate-based herbicides do not cause cancer." "We are confident the evidence in phase two will show that Monsanto's conduct has been appropriate and the company should not be liable for Mr. Hardeman's cancer," Bayer added. The jury in Hardeman's case is now tasked with determining liability and damages.